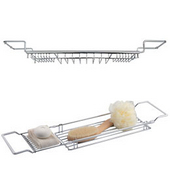 Shower Caddies at Kitchensource.com - Make your shower or tub neat and organized with our large variety of shower and tub caddies. 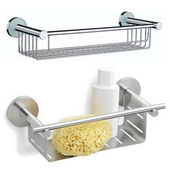 Shower caddies allow for convenience and extra storage space for hard to fit items in your shower. 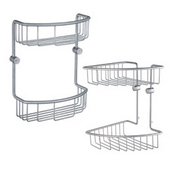 KitchenSource.com offers shower caddies in corner basket, rectangular basket, multilevel basket and tub basket styles, designed by: Empire and Smedbo. 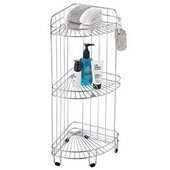 Chic stainless steel corner basket or multilevel basket shower caddies are ideal for shampoo, soap and other personal shower items and give your shower a modern look. Or relax in the bath and enjoy the convenience of a tub basket, polished in brass, chrome and other finishes. Shower caddies are the quick and easy solution to storage and organization problems in your shower.